CP V Ravinder releasing the T Shirt of the 10K run in Warangal. 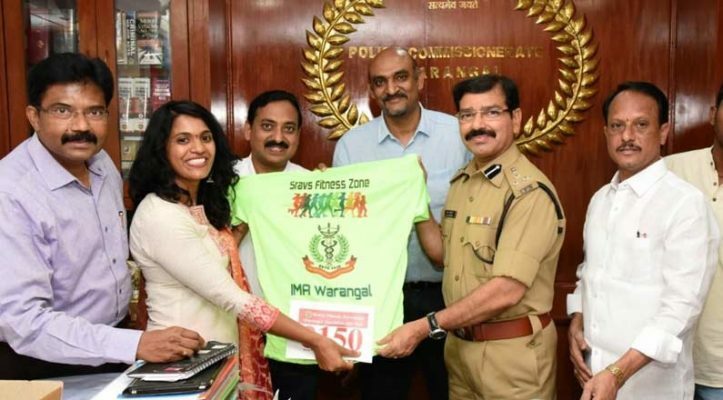 Warangal Urban: Sravs Fitness Zone in association with Indian Medical Association (UMA), Indian Red Cross Society (IRCS), Warangal Urban and Bandhan Ceramics Pvt Ltd will conduct a 10 K run to create awareness among the people about the patients suffering from thalassemia on April 21. Speaking to the press persons at the press club here on Wednesday, representative of Sravs Fitness Zone B Sravanti Reddy said that the run would be flagged off by the police commissioner Vishwanath Ravinder and at the auditorium of the University Arts and Science College, Subedari, Hanamkonda at 5.30 am. District Collector Prashant Jeevan Patil will also be the chief guest at the flagging off event. “Those who are interested in participating in the run shall pay Rs 500 registration fee. 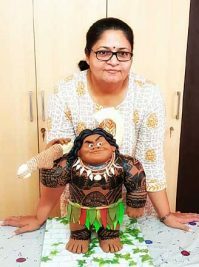 They would be given T-shirt, BIB number, participation certificate, and fruit juices,” she said and added that police commissioner had released the T-shirt of the event. 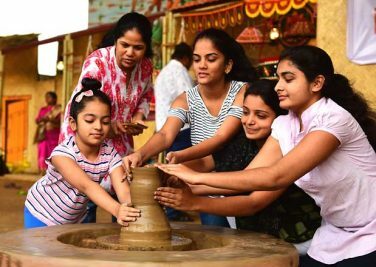 “Winner will be given Rs 10,000 cash prize, first runner up will be given Rs 5,000 and second runner up will be given Rs 3,000 prize,” B Sravanthi Reddy added. Some amount of the cash collected through the registration fee would be donated to the thalassemia patients.